I have two that i'm pretty interested in, but cant find any other pictures or videos of people who also have it so i can gather a visual from all angles. Still care heavily about the aesthetics. -Any other Windscreens are welcome to be shown off and suggested! Turbulence got you down? 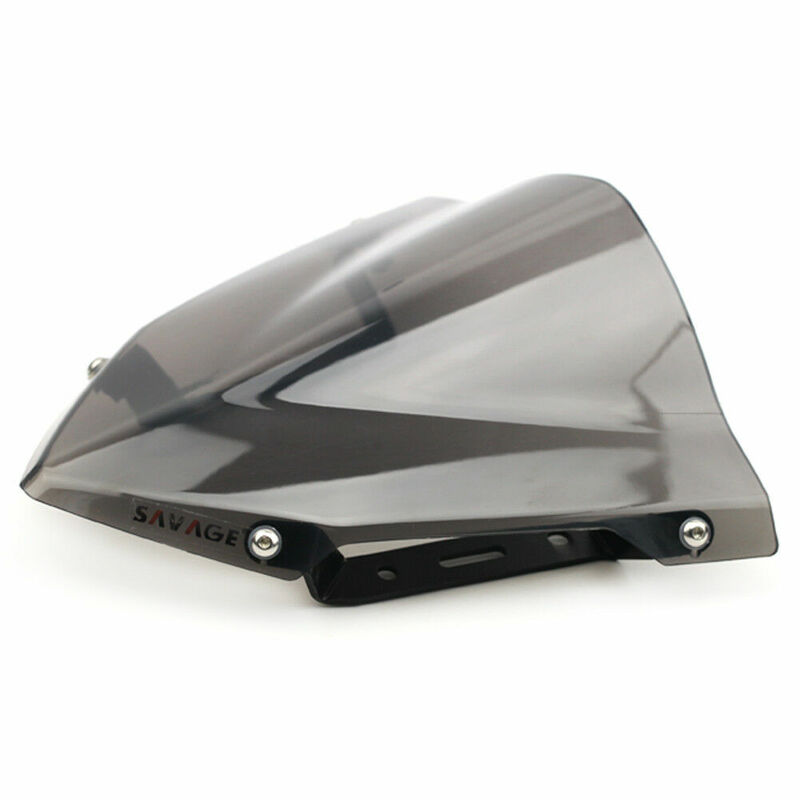 Reduce irritating road noise and have a smoother ride with an MRA Spoiler Screen on your Yamaha MT-07! I'm not really looking at a touring screen, just something to take a little of the wind blast off me when on the highway. I have an Ermax touring screen I just installed on mine. I'm not quite sure whether I like the look of the taller screen yet, I need to get the bike out of my tiny garage and get a better look at it before deciding. But Ermax has a shorter sport screen as well. That Barracuda screens looks pretty decent in those pics. I've tried the Yamaha Sportscreen and it worked for me at cutting down the wind but I just couldn't take the horrible noise it would give in my helmet (Shoei GT Air). So currently I'm just using the Yamaha Flyscreen which does nothing to cut the wind but cleans up the front end nicely. Your Ermax touring scre﻿en actually doesnt look too shabby! Just not sure i want to go that big myself. Just a heads up when buying a windscreen. I'm 5' 8" and I have a 39cm one from Ermax on my '15 FZ-07 that keeps/kept the wind off as much as my chest and the chin of my helmet when leaning forward a little. Your chest catches the most air so if you go any smaller than that and especially if you're taller than me your windscreen may not deflect wind from your chest, rendering it ineffective like so many smaller, better looking ones do. Just some mind candy to chew on. I hope you find 'your' happy, fine line between good looks and effective. 2018-2019 Yamaha MT-07/FZ-07. Material: ABS Plastic. | eBay! Do you have any pictures of the top ebay one on your bike? It's the one I'm looking at, too. Nice. Is this the dark tint version? There's a lot of suggestions in this thread, but does anyone actually run a fairly tall windscreen that keeps the wind off them? A lot of these look decent, but I don't want to pick one on look alone. 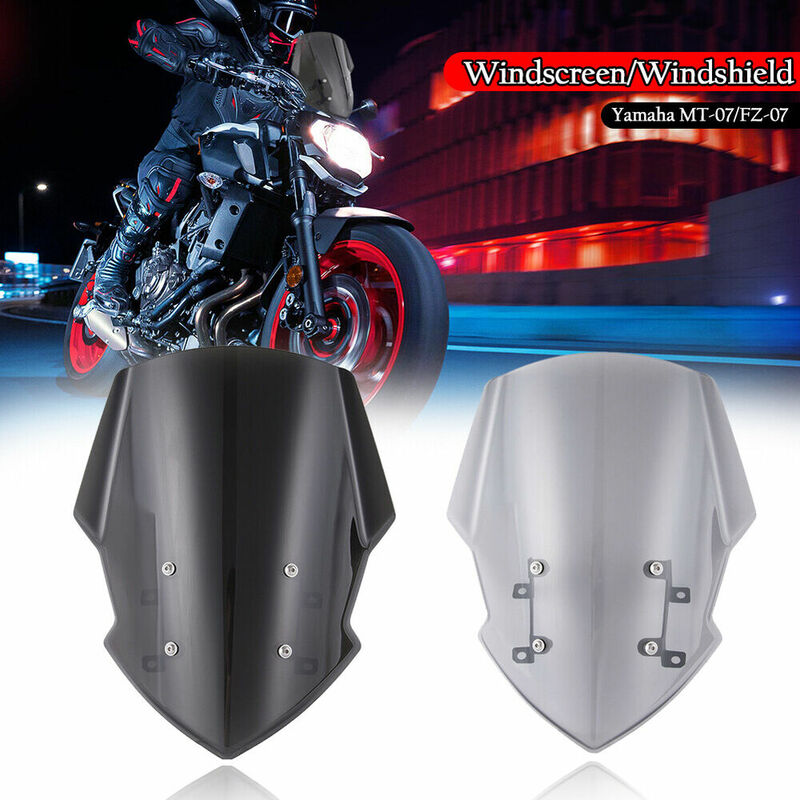 @WankyMcTugger Take a look at Madstad windshields if you want protection more like what a touring bike has. I've seen some big one's from them for our bike. I got the tallest Puig touring windscreen, then added an extension on top. Long rides are more fun with the protection!